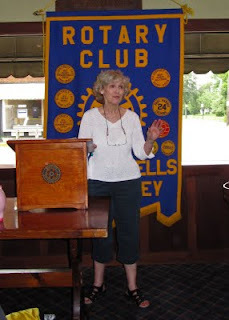 Several weeks ago I was invited to give a talk to the local Rotary Club at their regular luncheon meeting. I was happy to accept the offer as one of my passions is widening the audience for poetry, bringing poetry to people who might not ordinarily be reading it. The meeting took place this week. I must confess to generally being a bit more nervous when I read and talk in front of local groups. What if I'm terrible and then I have to run into these people at the grocery store! But I didn't need to be nervous. The group was wonderful and the whole experience was delightful. We had around 30 people, not bad for peak vacation time in July. The meeting began with the Pledge, a song, and a prayer. Then a bunch of announcements. There was decorum, procedures, etc. But also a lot of good humor. We had lunch and then my host gave me a lovely introduction. I'd been asked to speak for approximately 20-30 minutes. I began by reading one poem, "Linguini." Then I talked a bit about how I became a poet, how I learned the craft, and what I've been doing as a poet since leaving teaching. Then came the Q&A. I'd brought along some emergency questions just in case no one asked any. Again, no need to worry. They had lots of questions and theirs were much more interesting than the ones I'd brought. Someone asked about my reading style which he likened to singing, a comment I just love as I'm a terrible singer. I talked about the importance of slowing down for poetry, of paying attention to syllables and the pattern of stressed and unstressed, of feeling the poem in your body. Someone else asked me for a definition of poetry. A trick question! I used Stafford's definition: an artistic arrangement of words on the page. Music came in again. And some of the special techniques of poetry. Line breaks. Stanzas instead of paragraphs. Someone asked about the value of poetry with disadvantaged students. My theory is that poetry is good for all students but is a kind of magic for those who are experiencing hard times. I talked about how poetry makes people more compassionate and offers an outlet for all kinds of feelings. How it lets us know we are not alone. Someone asked about poetry as therapy. Again, yes, yes. It's not therapy, but it's certainly therapeutic. And then before I got to my second poem, my host gave me the hook. Our time was up. But I was able to talk individually with people as the meeting broke up. A few said they were going to buy my book. A few said they'd like to try writing poetry. The conversation continued. I hope it's still going on. Thanks to Robert Markman for the photo and for the two appropriately chosen vocabulary words that were part of the program: metrophobia and rhapsodomancy. Look them up! Here's a slideshow of an event I ran on Saturday, March 14. This was the second year this event ran, again at the West Caldwell Public Library in West Caldwell, NJ. Called "Girl Talk: A Women's Poetry Reading," the event was held in celebration of Women's History Month. This year we had 25 women poets read. Each poet read one poem on a woman-related topic. The result was a wonderful mixture of styles, topics, voices. It is not a male-bashing opportunity but rather a celebration of womanhood and sisterhood. We had a great turnout and read to a full room, somewhere around 70-80 people, young and old, male and female. Following the reading, we had a tea party consisting of many tasty treats prepared by the poets. We went home well-nourished. Here is an updated list of journals that accept online submissions. Note that some guidelines specify that the journal does not accept email submissions, but does accept via their online submission manager. Journals that have been added to this list are indicated by a double asterisk. A few journals have been deleted as they no longer accept online submissions or have gone out of business. Note also that the number of issues per year is indicated as is the reading period for each journal. I heard Kay Ryan refer to her own poems as "snack poems." That's how I felt about really short poems, i.e., a snack but not a meal. Then I found that from time to time I came across a short poem that knocked my socks off. I started collecting them like shells. Some of them called to me late at night. I found myself trying my hand at a few shorties. I distrusted them and put them away. Too short to get a major role in a journal. Then several months ago I was asked to submit some work to a nice online journal. I noticed that the poems in that journal tended to be short, so I dug out some of my little ones and sent them off. Two grabbed right up! I submitted a few of my formal ones to another journal. Two more snatched up. Had I been unfair to my own poems? Then Kay Ryan was appointed Poet Laureate. Snacks can be very satisfying. Snacks can stimulate the appetite. Snacks can stave off hunger. 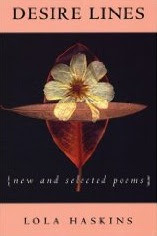 Before I ruin my appetite with any more of these metaphors, I want to offer you two short poems by Lola Haskins, both of them perfect gems, I think, and both from her book Desire Lines: New and Selected Poems. She tries it on, like a dress. and starts to take it off. Her skin comes, too.Speaking of metaphors! You'll never catch me in wearing short shorts, but you will find me with a revised opinion of short poems. And you will definitely catch me recommending Haskins' excellent collection to you. There you will find poems long and short and some in-between. There you will find many poems that satisfy and enrich you. Not exactly a girl, rather a new social networking site. 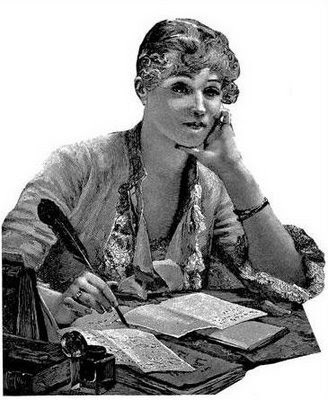 She Writes is the hot new site for writers. It's been live for just about two weeks and has already achieved an astonishing response. I was new member #325; within days that number had climbed to 1000. Now it tops 2000. Playwrights, novelists, memoirists, journalists, and poets flocked to the site, anxious to see what the fuss was all about. There's a lot going on at the site. Members can post news, videos, and events. Bloggers can post blog entries. Soon there will be workshops offered on such topics as Social Media, Editing, Marketing / Publicity, Book Video Trailers, and Author Event Planning. Each member gets her own page which can be customized with a variety of templates and color choices. This page contains a profile, a list of the groups the member belongs to, a list of publications, and whatever else the member wants to add. One of my favorite features is the groups. Although the membership is large, there are all sorts of smaller groups, each started by a member. Anyone can create a group. Right now there are 81 different groups. 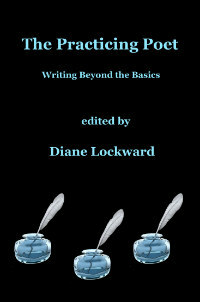 Among them are Fiction Writers, Marketing and Promotion, Food Writers, Anthologies, Disability Writers, Reading Series Curators and Hosts, and Haiku Writers. I immediately joined Bloggers: Let's Make It Work which currently has the most members at 262 and Poetry Social which remains cozy at 62. Bloggers is a great place for getting technical information as well as ideas for post topics. The members have a wide variety of blogs. Because of the popularity of this group, a blog index was created. This is available to all the members of the site. Poetry Social is useful for talks about craft, marketing a poetry book, and reading style. Prose writers greatly outnumber the poets on the site, but this group is a great little corner for the poets to gather in. Another feature I like is that the site is not searchable. What you say there stays there and won't show up in Google searches. While anyone can visit the Main page, only members can peruse the entire site. 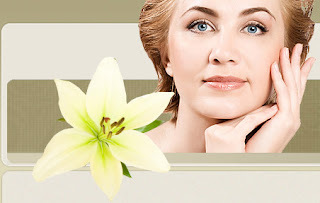 The focus of this networking site is obviously women writers, but men are invited to join as well and a number have. So why not pop on over and see for yourself? Then if you do decide to join, please use your full name, first and last. A photo would also be nice. I mention this as several people have joined first name only or with some strange handle instead of a name. What's the point of joining a networking site if you're going to mask your identity? Also, I should mention that the site is for individuals only, not businesses or journals. So far I'm happy to be there. It's a wealth of information and fun. As you learned in my last post, I've been adding a bunch of bird feeders to my backyard. This ought to be easy enough, yes? NO! I have a lot of trees in my yard for which I'm grateful, but I had no idea that squirrels could jump up to 10 feet from a tree or 4 feet from the ground. Each time I put up a feeder and went somewhere else, when I returned I either found a squirrel wrapped around it like a fur coat or found the feeder knocked down to the ground from the force of the squirrel's leap. I had the feeders arranged in a visually attractive pattern, but had to keep moving things around. Three times a squirrel managed to knock the peanut feeder off its stand. Each time that little pest ran off with the entire feeder which I eventually found some distance away with its top removed and every single peanut gone. I bought clear plastic baffles, secured the feeders onto their posts with wire ties and hooks, substituted a chain for the hanger that had come with the feeders. Each time the squirrels outwitted me. 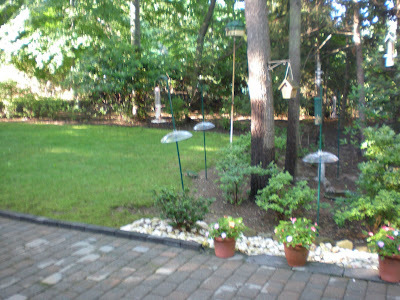 So I bought several sturdier posts and baffles and moved all the feeders onto the grassy area of my yard. 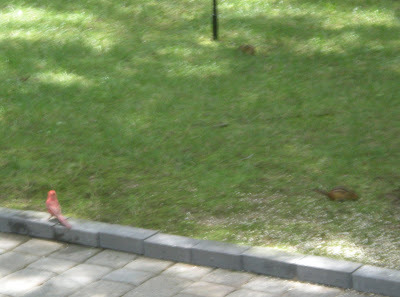 Not too convenient for mowing, but at least there's a chance that we can hold onto the feeders. I have, however, already spotted a squirrel climbing onto a branch that's above one of the feeders. I can almost hear him planning his strategy and calculating the distance. But for now I've got tons of birds—house finches by the dozens, some cardinals, woodpeckers big and small, mourning doves, and a few other varieties. So far only one goldfinch even though I bought a feeder with bright yellow on it which the woman at the store told me tricks the goldfinches, as they fly by, into thinking that other goldfinches are down there and that they'd better stop by for a free meal. 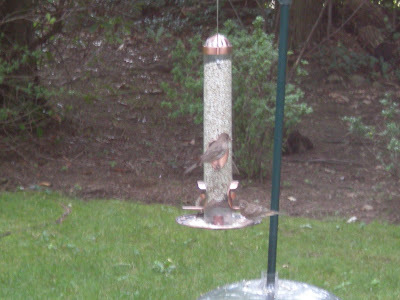 Speaking of free meals, notice how full this feeder is? 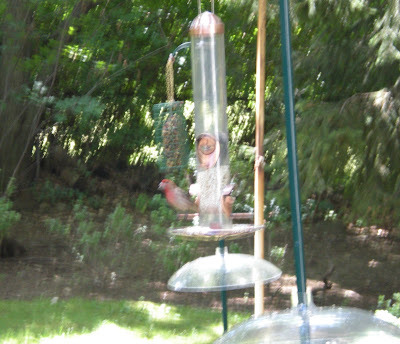 Notice, too the house finches enthusiastically feeding. What does any of this have to do with poetry? Nothing! At least not yet, but I wouldn't be surprised if a squirrel poem eventually emerges. After all, this battle has put me more in touch with Nature, honed my observational skills, and engaged me in conflict—all ingredients for poetry. I've been thinking about the influence that place has on our poems. It seems to me that if we move around a bit we can't help but gather new ideas, new images, new metaphors that somehow worm their way into poems even if not immediately. I'm not talking big-time travel here. There are unfamiliar locales right around the corner. A few years ago I went to a daytime poetry reading in a nearby town. The reading was held on the grounds of an arboretum. Although it was April and we'd had some nice spring weather, that day made a complete reversal back to winter. On my way to the event, it started to snow, then sleet. By the time I arrived at my destination, the ground was covered with a wet, sloppy mush. The reading was held in a house on the grounds. The reading room was surrounded on three sides by ceiling to floor windows. 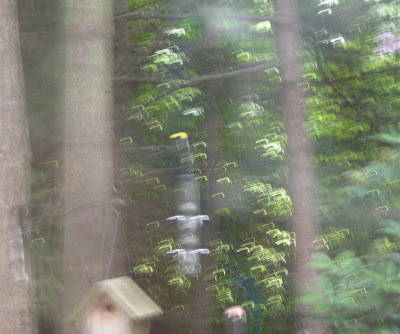 As the reading progressed, suddenly a bunch of goldfinches appeared outside the window right behind the reader. A feeder was hanging just outside that window. These birds were so adorable and playful that I lost all concentration on the reading. I took home with me the image of those birds swirling around as if showing off for us. I was, however, disappointed not to have been able to walk the grounds and enjoy the trees and flowers. From the window I could see them weighted down by the slush. So that image went home with me also. And the disparity between the spring we were supposed to be having and the winter that had replaced it. Those images swirled around in my head for days, signaling a poem was coming. That poem did come, April at the Arboretum. That day also ignited an interest in birds. I bought some goldfinch feeders and enjoyed a profusion of goldfinches that summer. Since then, however, those birds seem to have abandoned me. I am now attempting to tempt them back. See that spot of yellow at the center? That's the goldfinch that showed up briefly yesterday. A week ago I enjoyed a day of writing new work with a group of other women poets. We met at the home of one of the women. The summer after the arboretum experience this woman had been at my house and was intrigued by my birds. 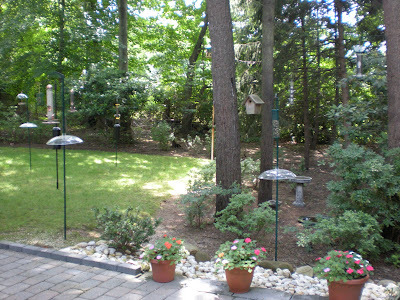 She then bought a bunch of feeders and she and her husband created a lovely sanctuary. So this year we women poets were entranced by her birds. Throughout the day we took turns giving each other poetry prompts. It was amazing to see how many of those poems had something to do with birds. That's what got me thinking about the influence of place on poetry. That's what gave me a serious case of bird envy. And that's what got me to the bird store where I bought a bunch of new feeders. Now I have been engaged for a week in a battle with squirrels. More on that in my next post. Okay, not mine really. Blogalicious has had a makeover. It's her birthday so something new seemed in order. I wanted a more open look, something less boxed in. One thing that prompted me to make the change was that YouTube has enlarged their videos, so the last one I posted was too large for my posting area and extended beyond the margin which was ugly. Collin Kelley clued me in on how to fix that by adjusting the html code, and I made it work. But I kind of liked the larger video. Thus began a few days of experimenting with new looks. As you can see, I've stuck with the same color scheme. I want my blog to sort of match my website. I know that's alarmingly compulsive, but there you have it. One thing I could not get with this new template is lower case letters in the header, footer, dates, and a few other places. I'm not keen on all caps, so if anyone knows how to adjust that, please clue me in. Also I'd like a line separating one post from another and could have that if I retained the border that is part of this template. But that messed up my header. It's there but you can't see it as I made it the same color as the background. Unfortunately, that eliminated (or colored over) the borders between posts. I'm fooling around with putting in a line in the post layout window, but am not sure it will look right. So bear with me through a few posts. Beauty comes at a price. Here's a slideshow I made for the poetry festival I ran on Sunday, May 17. This was the sixth year for the festival. The purpose of this showcase event is to celebrate the literary journals that give us poets a place for our work. 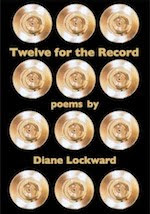 Each year I invite twelve editors to participate—twelve because of the amount of space available. Each editor then invites two poets to represent the journal. The editors each get tabletop space for their journals. They sell journals, give out subscription and submission information, and respond to questions from the 250 or so guests who attend during the four hours of the festival. Readings take place in another room. There are four time periods, three journals each. That's when the poets read, two poems each. So there's a lot of poetry and lots of different voices. The room remains full, about 80 people, thoughout the day so it's a great audience. Poets who have books put them out for sale in the book sale area. There is also a freebie table where anyone can put out postcards, fliers for workshops, and so on. This year all the photographs were taken by Anthony Buccino.